West Fresno entered Vallarta’s radar through a former employee who now works for Maya Cinemas, a local movie theater chain and developer. Maya Cinemas, which also focuses on serving Latino communities, saw a need for a supermarket in West Fresno and invited Vallarta to anchor a larger a shopping center development the cinema chain was planning. Even as a team of successful businesses, Maya Cinemas and Vallarta were not able to secure traditional financing to build the much needed $13M shopping center the lower income neighborhood. Enter FreshWorks, created to address the problem that the same zip codes that need healthy food the most are often ones where it is hardest to find traditional financing and investment. “The key was that this project was in Fresno in a community that was underserved,” states Ross Culverwell, Chief Lending Officer of NCCLF, the administrator for FreshWorks. “West Fresno, didn’t have anything but small mom and pop grocery stores. It didn’t have a full service grocery store and not one that served the Latino community,” Culverwell explains. He believed the project held potential for success with Maya Cinemas’ experience and leadership as local developers and Vallarta Supermarket as an anchor tenant for the larger shopping center. FreshWorks and NCCLF brought both capital and experience to support Maya Cinema and Vallarta in navigating the New Market Tax Credits (NMTC) process. As Culverwell explains, “Dealing with NMTC is not rocket science, but it’s more complicated than it should be. So working through that structure in a way that makes sense, that in itself can be a substantial job.” Kaminsky echoes the importance of FreshWorks’ experience stating, “Before FreshWorks Fund, I didn’t know about NMTC. 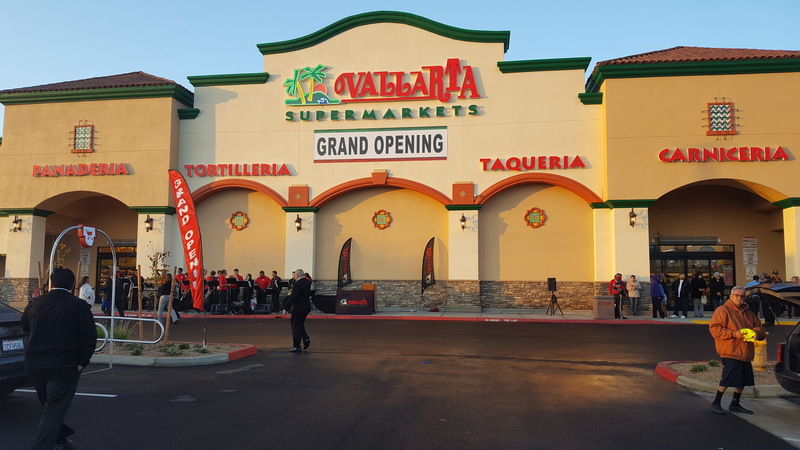 It was our first NMTC project.” In partnership with Maya Cinemas, NCCLF enabled Vallarta to access NMTC investment, which drastically reduced the loan debt needed to build the $3M store, enabling the supermarket chain to expand operations into this West Fresno community. 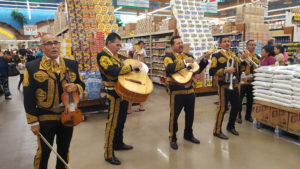 “The store opening in West Fresno was one of the largest grossing sales we’ve seen,” proving, as Kaminsky said, “that the community really needed a supermarket like ours.” The store has dedicated a minimum of 3,500-sq. ft. of floor space and 40% of sales to fresh and healthy foods. In addition to bringing healthy food to the community, Vallarta provides 175 jobs, 70% of those jobs are full time and receive meaningful benefits. Local residents are 90% of the employees, and 95% of those employees are Latino. Through the Maya Cinemas Educational Fund, Vallarta will also contribute a minimum of $10,000 in scholarships each year to local, low-income youth pursuing a 4-year degree.